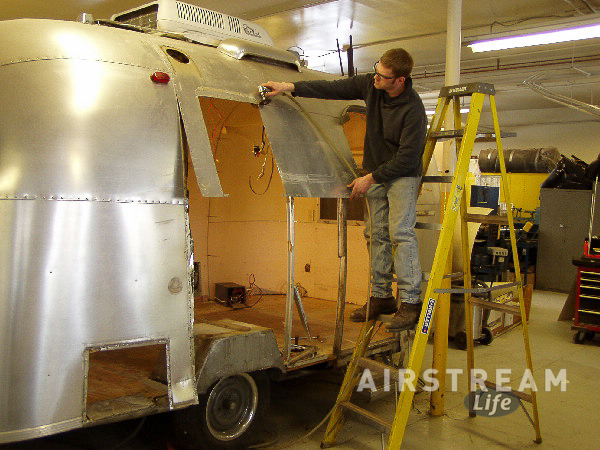 You are here: Home / Airstream / Are you ready for a vintage project? Fantastic advice! From personal experience, I learned that vintage wasn’t really right for me, even with having a very good shop do most of the work. Overall, I would have been happier (and maybe even financially ahead) buying a new 20′ Safari SE rather than restoring the Argosy. I’d MUCH rather spend my weekends camping, and weeknights doing other things, than working on the trailer. What a great blog post! I find it interesting that it appeared on my Facebook page today: the day after a friend was asking my advice on purchasing a vintage trailer, and about a month after I neglected to renew my subscription to Airstream Life Magazine. 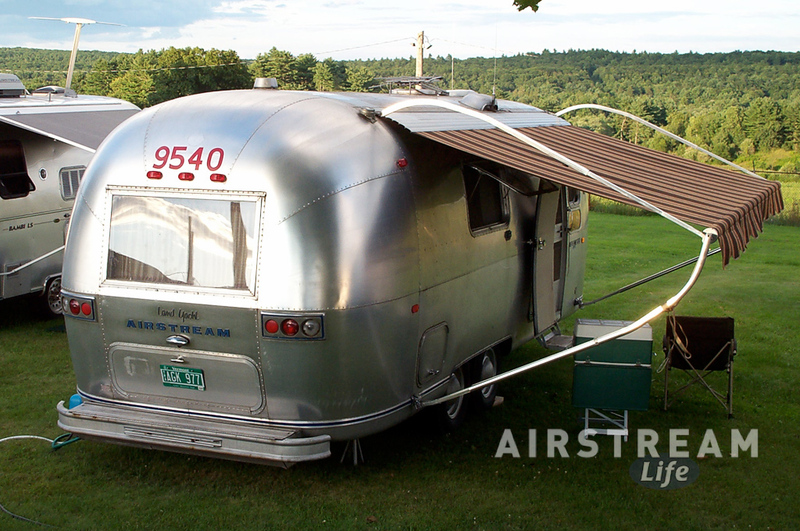 Over ten years ago, I was looking at an old Airstream for sale in Vermont. My family was going to do a one time trip to Canada for three weeks. Being a camping family, but never having slept inside a trailer, I thought “this might be wonderful for us”: We would still be camping, but without all the hassles of packing and unpacking every day. A friend sent me an article from the Addison Free Press, a small local Vermont paper. 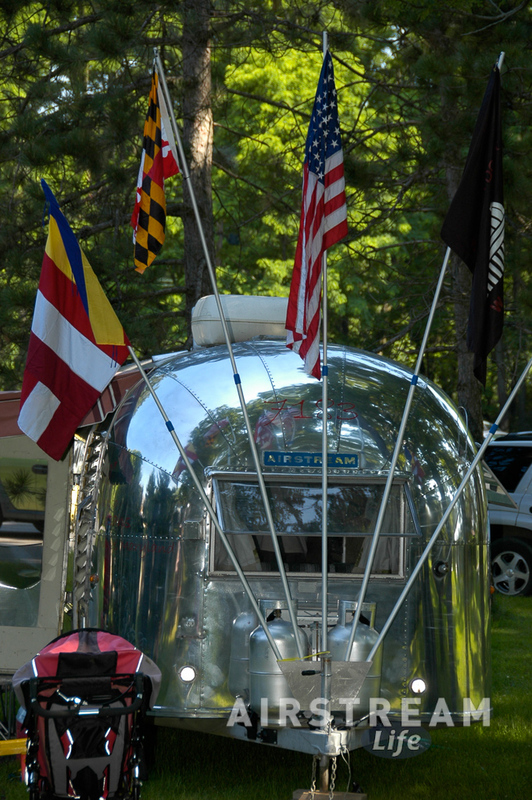 It featured a picture of Rich Luhr with his vintage Airstream with the David Winick “Home Sweet Home” on the front door. I mustered my courage, emailed Rich at his new magazine, and asked his advice on the trailer that I was considering purchasing. He responded immediately, and offered to come down to check it out. He and Eleanor must have spent at least two hours with me, going over the systems, poking hokes in the floors, checking out the axels, etc. I took copious notes. Needless to say, though I was in love with the trailer, it had issues. With Rich’s figures and my figures, I approached the owners, and they refused my offer. The bug had bit, though. I scoured the internet, made a checklist, from Rich and Eleanor’s teachings, and began the hunt! I ended up buying the 1967 overlander that is in the picture in this article: “Two Ton Tillie”. It has been a labor of love, and way over the top, cost-wise. I now have a 1953 17′ clipper which I totally restored myself; Gloria (Glorified Tent). I thank you Rich, for leading me down the road. I have spent countless hours helping friends, arriving with my flashlight and screwdriver, to check out their possible “dream” trailers. 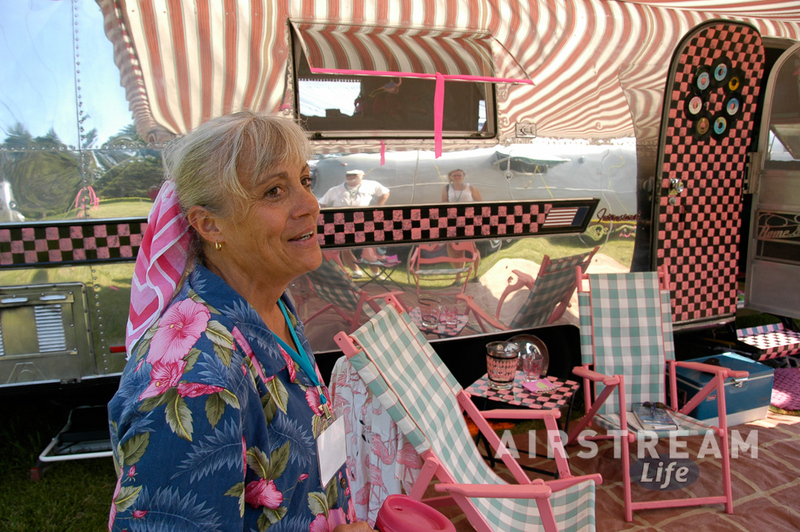 I will have to re-think my Airstream Life subscription. I have looked forward to their arrival for ten years. I had been concerned though, that you had forgotten your initial love; the vintage trailer. I realize from this blogpost, that you have not. I keep hoping you might bring back the “Vintage Trailer Jam”, which were the most amazing shows of them all! If you ever do, I am on board, and willing to help in any way!! We live in Tucson. Our son has a 1959 flying cloud sleeps two stored at our house until August. My question is, is there someone here in Tucson who can replace the floor for starters, besides dealers. Nobody I’d recommend, sorry. Typically you’ve got to travel a distance to find a competent vintage trailer restorer. There are several in southern California.